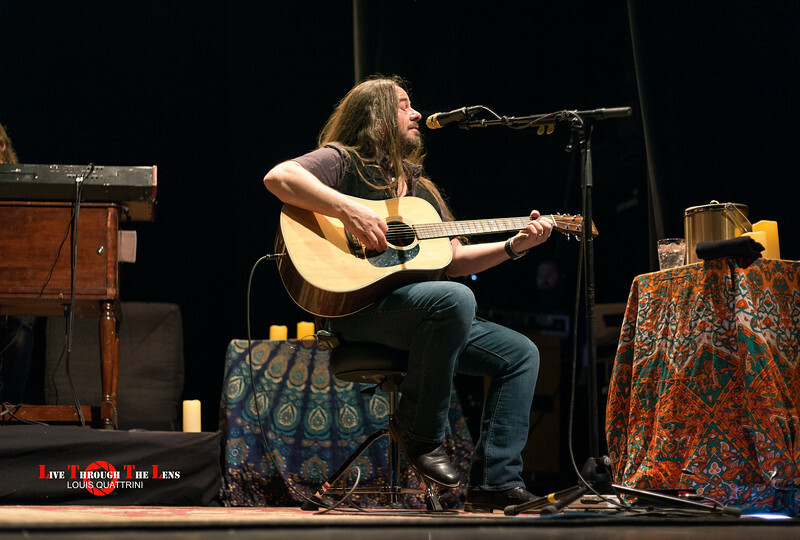 On Thursday April 4, 2019 the Atlanta, Georgia southern rock band, Blackberry Smoke pulled into the historic State Theatre in the beautiful downtown Ithaca Commons area as a stop on their 2019 “Break It Down” spring acoustic tour. 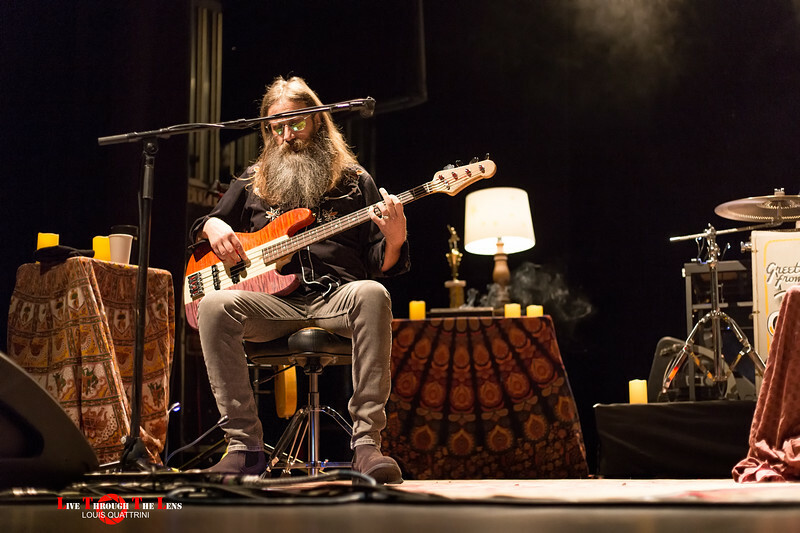 Blackberry Smoke is currently on tour promoting their newly released EP, The Southern Ground Sessions, during this spring 2019 tour. This is the bands first ever acoustic run. Blackberry Smoke has been a staple in the rock and southern rock genre since the early 2000’s; however, it has been quite difficult to accurately define their sound which has most definitely become their own, combining an eclectic mix of rock, blues, country and folk. Blackberry Smoke’s line up consists of Charlie Starr (lead vocals, guitar), Paul Jackson (guitar, vocals), Richard Turner (bass, vocals), Brit Turner (drums), Brandon Still (keyboards, piano). Joining the band on stage was first call touring guitarist, session player and producer Benji Shanks. With six studio albums under their belt, including Bad Luck Ain’t No Crime (2004), Little Piece of Dixie (2009), The Whippoorwill (2012), Holding All the Roses (2015), Like an Arrow (2016) and Find a Light (2018), Blackberry Smoke has two Billboard chart-topping country albums and an enormous catalog of songs to choose from. Hailing from Atlanta, Georgia, these Southern boys are no stranger to the road, touring and performing throughout the United States. Blackberry Smoke have headlined as well as opened for major artists such as Zac Brown Band, ZZ Top, Lynyrd Skynyrd, Eric Church and more. For nearly two decades they continue to tear up the charts and road with mega hits and touring, playing on average, 250 shows a year. 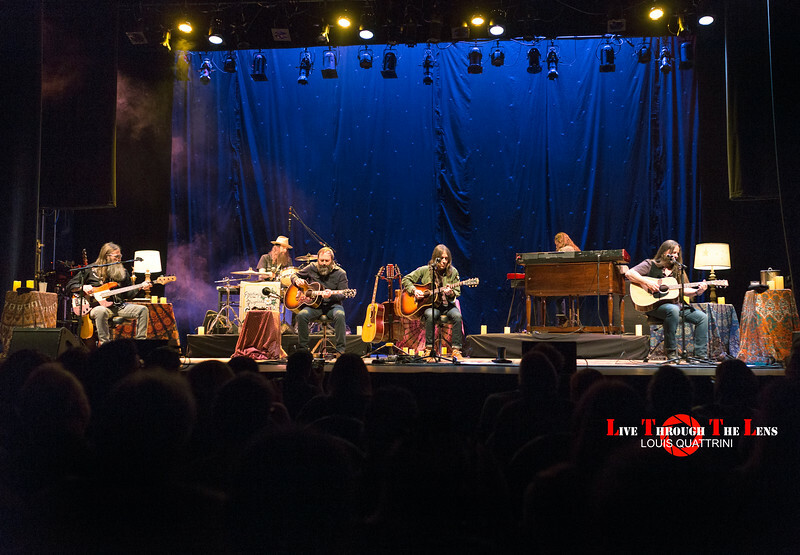 They have developed quite the eclectic fan base as well ranging from the classic Southern rock, country, rock and roll, grassroots and jam band fans. They have been known to frequently break into long jams, throwing covers into the mix of their music and play all night long. Blackberry Smoke kicked off their set with the 1927 Thomas Darby and Jimmie Tarlton classic “Columbia Stockade Blues”, followed by “Believe You Me” from their 2016 album Like an Arrow and “Too High” from the 2015 album Holding all the Roses. 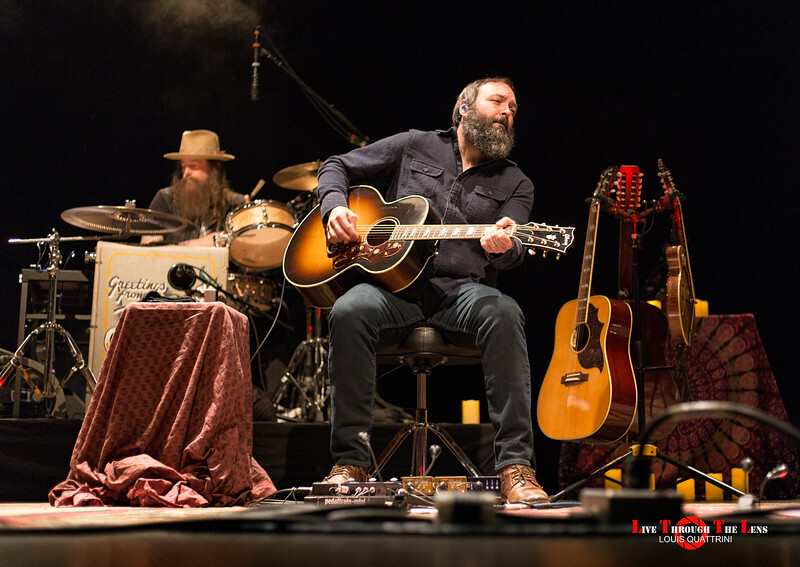 The band continued to play many of their well-known hits as well as some lesser known songs from their immense catalog throughout the two-hour performance. 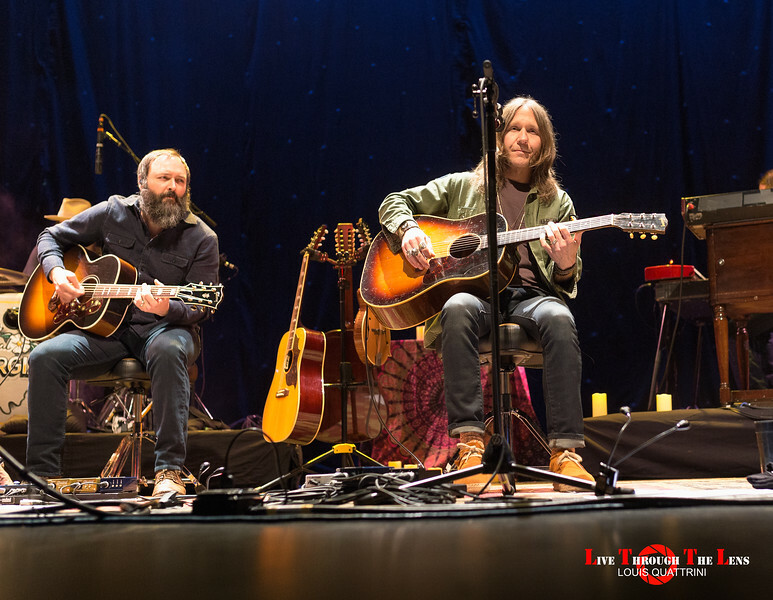 Nevertheless, all the songs lended favorably to the acoustic arrangements that these seasoned musicians performed for the exhilarated crowd at the State Theatre. The band kept their performance light and fun, interacting with the crowd and telling some interesting stories behind many of the songs or from their road escapades. At one point Charlie talked about touring the city of Ithaca, from visiting a vintage music store, yet forgoing a purchase during this trip, to visiting Cornell University’s Barton Hall and commenting about the diverse musical history at this famed field house. He commented that he learned that the Grateful Dead’s performance here in 1977 is considered one of the best shows of their career and that they were indeed in good company as fellow Atlanta, Georgian rap artist Ludacris too roamed the Big Red Campus at one point. 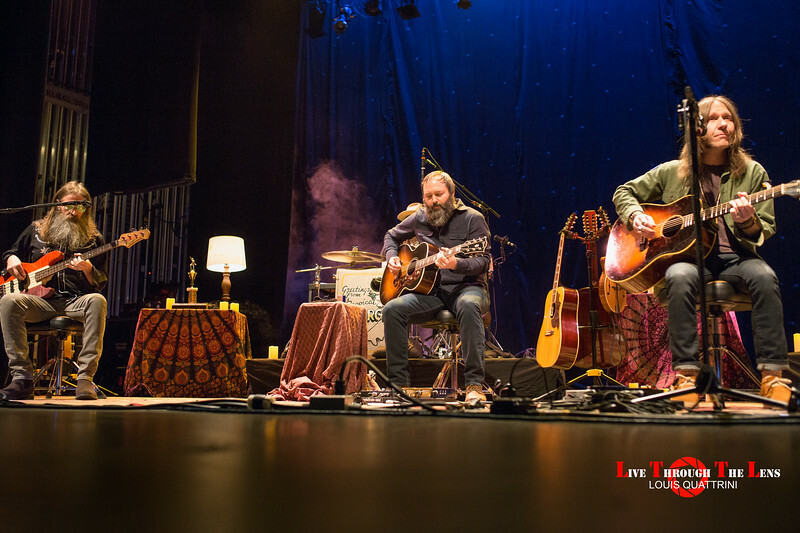 Charlie and the rest of the band seemed to connect well with the crowd in Ithaca during this stripped down, personal feeling “Break it Down” acoustic show. They even covered the Dead’s “Loser” as the first of their three encores. 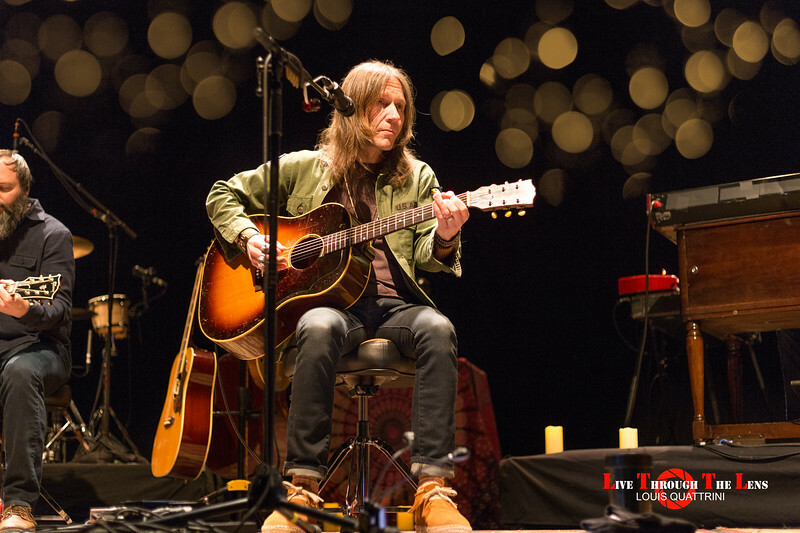 Blackberry Smoke Setlist – State Theatre Ithaca, NY 4/4/2019.